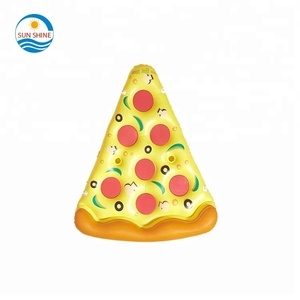 11 YRS Zhongshan Anbel Plastic Manufacturing Ltd.
4 YRS Xingtai Yunyang Trading Co., Ltd.
10 YRS Sunshine Inflatable Toys Co., Ltd. 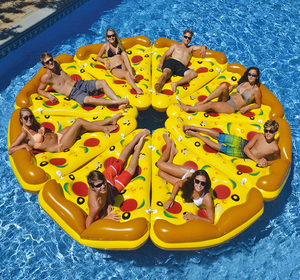 Enjoy the ultimate giant inflatable leisure from hugewal, perfect for exciting pool parties or lazy days at the river and lake - it is the hottest summer accessory! EXTRA LARGE SIZE FOR MULTIPLE PEOPLE: Over 6 feet in diameter, this huge oversized flamingo is the ideal size for laying out in the sun while in the pool, both for kids and adults! 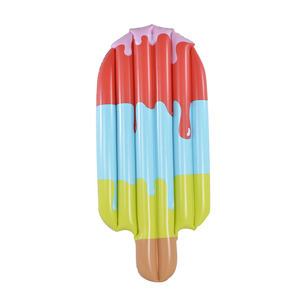 HEAVY DUTY: With premium quality control, it is durable and long lasting to be enjoyed throughout the season - and best of all the fun, colors will not fade quickly. 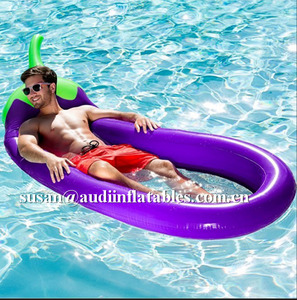 Float in eggplant floats style around the pool the bay or the lake. After we receive your money, we produce the goods for you. 3. Once we finish the products, we send you the photos to confirm. 1 YRS Ningbo Wild Eagle Outdoor Products Co., Ltd.
3 YRS Guangzhou Eagle Plastic Products Co., Ltd.
Our factory is located in yiwu city zhejiang province China it is close to NingBo and shanghai port which is one of the biggest port in China. We have excellent product design and development team, large numbers of skilled workers in operation, advanced and complete production equipment. So, we sincerely provide a variety of products with high quality, reasonable price and the efficient service for the customers all over the world. 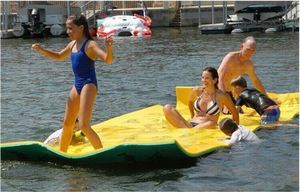 Alibaba.com offers 30,964 swimming pool floats products. About 35% of these are water play equipment, 12% are pool & accessories, and 1% are gymnastics. A wide variety of swimming pool floats options are available to you, such as free samples, paid samples. 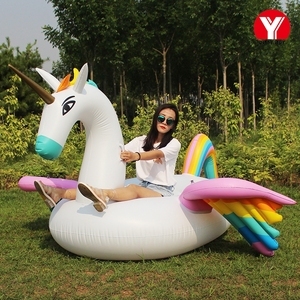 There are 30,964 swimming pool floats suppliers, mainly located in Asia. 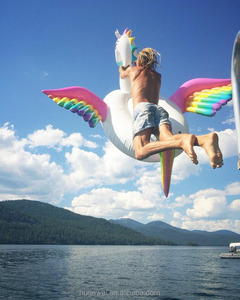 The top supplying country is China (Mainland), which supply 100% of swimming pool floats respectively. Swimming pool floats products are most popular in North America, Western Europe, and South America. You can ensure product safety by selecting from certified suppliers, including 4,136 with ISO9001, 3,929 with Other, and 1,289 with BSCI certification.